Fairholme has a great location with lots of amenities and activities close by. Set in a semi-rural location on the doorstep of Sherwood Forest the park provides good links to travel there’s even an airport and direct train links to London within easy striking distance. 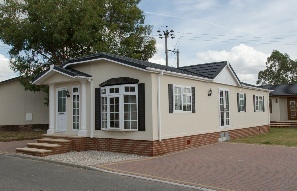 The park has well established homes and is only short walk away from a Tesco superstore towards New Ollerton village. There’s a great range of shops, services and amenities such as doctors, hairdressers and dentists. We even have a soft play centre near Tesco (for when the grand kids come to stay!) Walking out of the park in the other direction there’s Ollerton Church, the White Hart Hotel, and a local family butcher. There are other places to eat in the village too, including Ollerton Watermill and Tea Shop. Rufford Park and Sherwood Pines are also only a few miles away providing great opportunities for a relaxed Sunday afternoon stroll. Bus links are great with a stop just outside the park linking all local towns, Newark, Retford, Mansfield and Nottingham. Ollerton House - On the doorstep! Bella Vita - Italian in Ollterton is within walking distance.